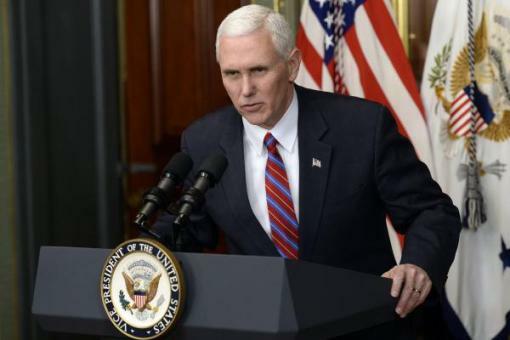 Vice President of the United States, Mike Pence, used a private email account for policy issues when he was governor of Indiana, a US newspaper reported Thursday. E-mails obtained by the Indianapolis Star show that Pence used a private email account – that the newspaper said was hacked last summer – to discuss “sensitive issues” and “internal security issues”. The newspaper, which obtained the emails after an official request, points out that the office of the Vice President confirmed that “Mike Pence maintained a state email account and a personal account”. “As governor, Mr. Pence fully complied with Indiana’s law on the use and preservation of emails”, his office told to the newspaper. During the presidential campaign, Pence criticized Democratic candidate Hillary Clinton for using a private mail server for official communications, a scandal that haunted her to the end and undermined her arrival at the White House. The journalist who cover the news, Tony Cook, told CNN that the spokesman of Pence “downplayed any comparison with the use of a server and a private email by Hillary Clinton”. Indiana law does not prohibit public offices from using their personal email but generally requires that messages relating to official matters be kept for public information purposes. Pence’s office told the newspaper that his campaign had taken steps to allow the transfer to the state of personal e-mails relating to public affairs. Clinton was harassed throughout the election campaign for using a private email server when she was secretary of state. The Democratic candidate accused FBI Director James Comey of having played a small role in her defeat, saying that federal police’s decision to reopen the investigation on sent emails when she was Secretary of State slowed down her race for the White House.